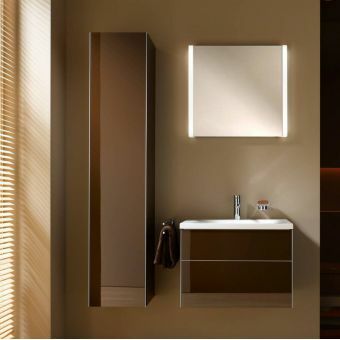 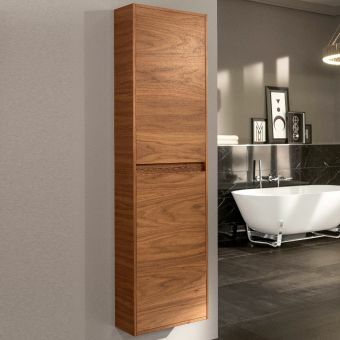 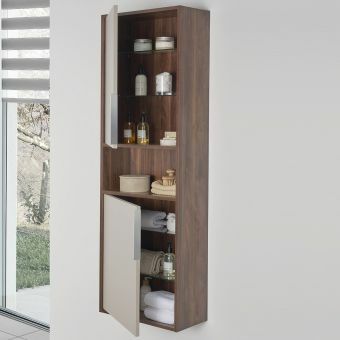 A wall mounted bathroom cabinet is a smart way to add extra storage capacity to any bathroom layout. 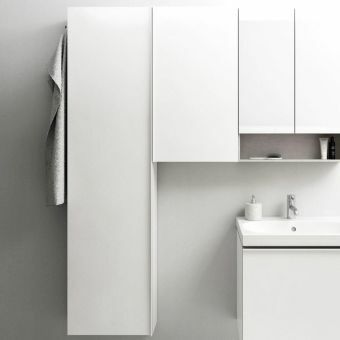 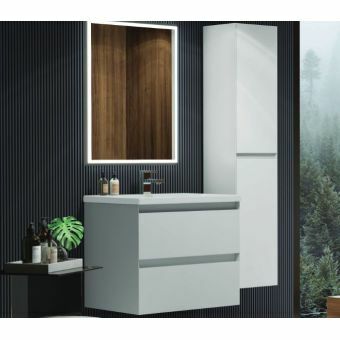 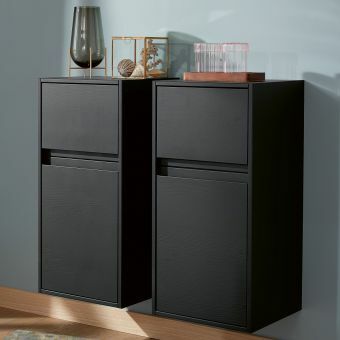 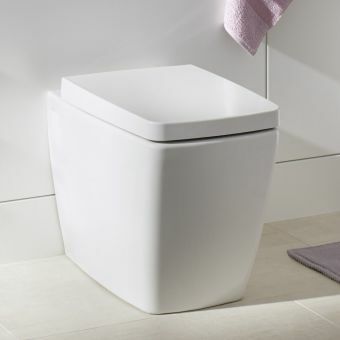 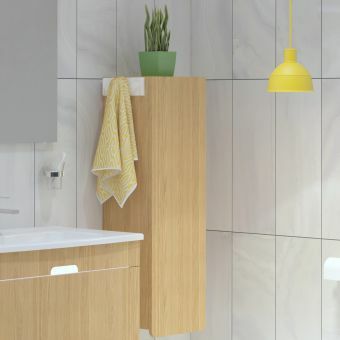 This neat cabinet from the VitrA M-Line comes in 3 highly adaptable colourways, which are suitable either for matching to your existing bathroom to upgrade your storage game, or to work into a new bathroom design with other matching M-Line pieces of furniture. 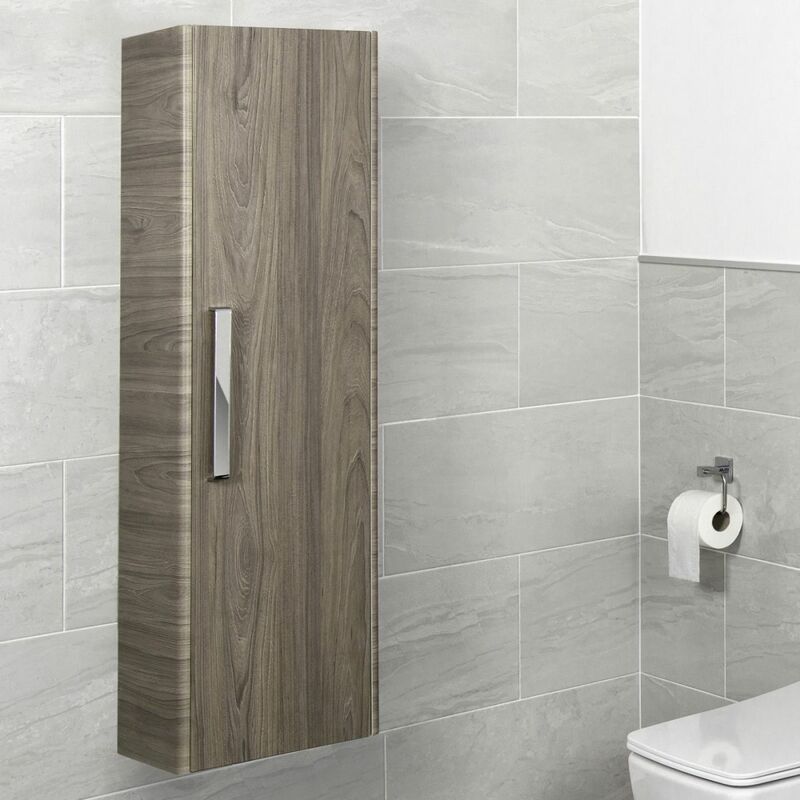 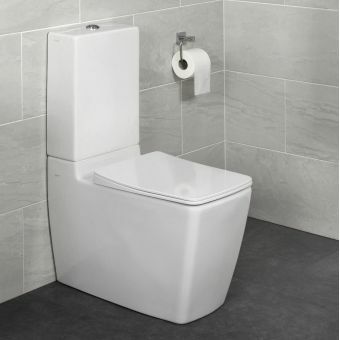 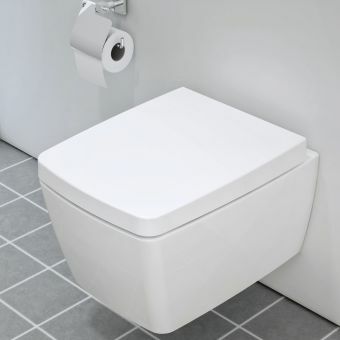 Suitable for installation in all sizes of bathroom from cloakrooms to master suites, this unit has soft closing hinges for comfortable use. 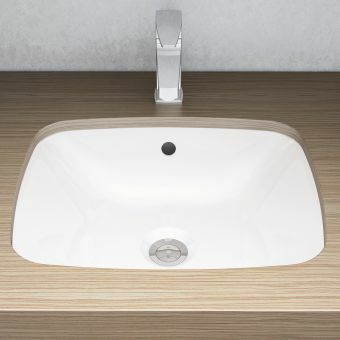 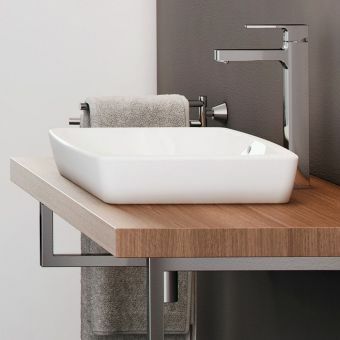 The large linear chrome handle is modern and simple in design, which is a great feature in that it can be easily matched to a wide range of brassware to blend into the rest of your bathroom layout harmoniously. 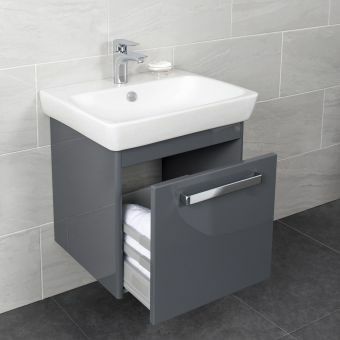 Choose from 3 colour options: Gloss grey for a smart contemporary look with a slightly European feel, clean modern and cool. 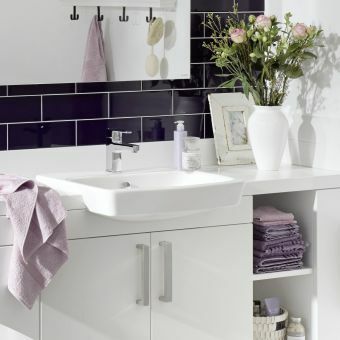 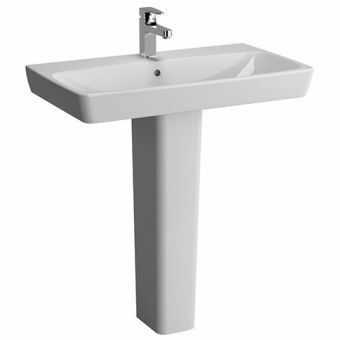 Glossy white is minimal and functional, allowing for a wide range of products to be matched to it. 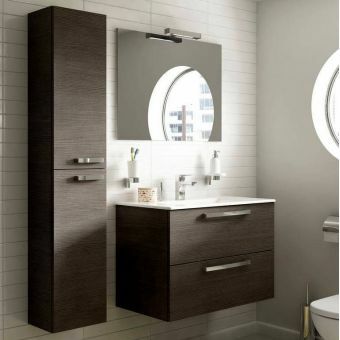 Dark elm is warm and natural and brings an organic element in to the bathroom for tangible appeal and charm.